Thanks to the benefit of hindsight, most folks–at least those of us who have trimmed our mullets into more socially acceptable hairstyles–are willing to admit that the 1980s were a vast cultural wasteland. Nevertheless, there were glimmers of hope. Even as society was deep into coke, parachute pants, and jackets requiring “membership” in some unholy blood pact, automotive culture was again showing signs of real life. Some of the brightest rays of sunshine were coming from Japan, which was beginning to trade its economy car image for a more well-rounded portfolio featuring proper sports cars, hot hatches and even the occasional grand touring machine. 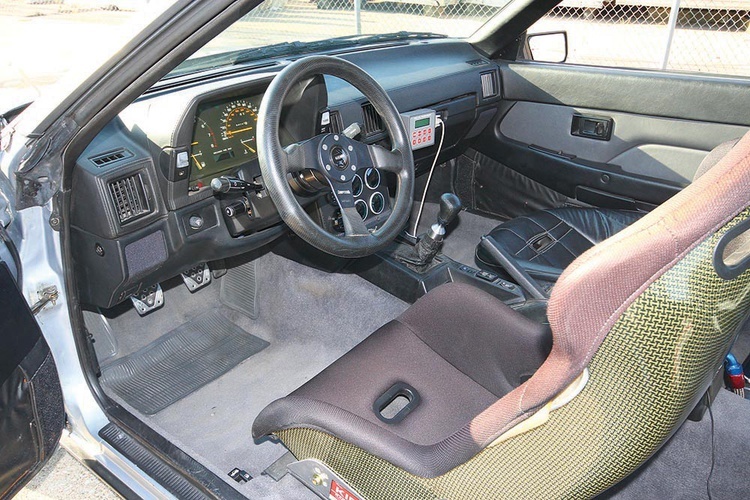 The second-generation Toyota Supra, for example, debuted in 1982 with an American version that featured a 2.8-liter DOHC inline-six, a configuration that had previously been more associated with German touring cars. Like the original Supra, these second-generation cars were modified Celicas, but they were more evolved. Beyond the swap to the six-cylinder engine from the Celica’s four, Supras also got their own bodywork featuring a heavily revised front end with pop-up headlights and a distinctive bumper/grille combo. Higher-spec Supras also received aggressive fiberglass fender flares, which nicely straddled the taste line between boy racer and retro GT. We’re not sure which of its many charms originally attracted Donald Lew to his Supra–when we arrived to speak with him about it, we were simply too taken aback by its awesomeness to remember to ask why he bought it in the first place. In any case, Donald’s 1984 model managed to open his wallet in July of 1984, and has stayed firmly planted in his heart and garage ever since. This Supra saw 15 years of daily-driver duty in and around the San Francisco Bay area–Donald calls Fremont home–but didn’t turn a wheel in anger on the autocross course until the 21st century. 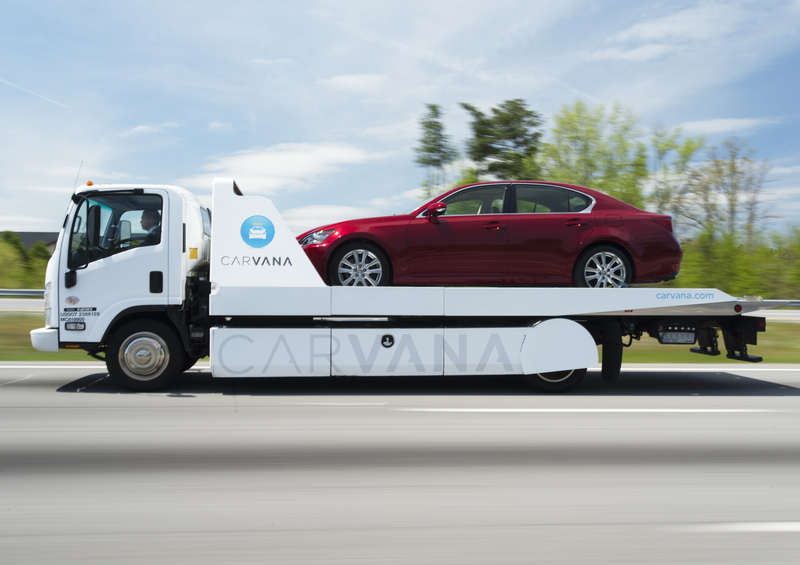 By then, of course, progress had relegated the Supra to a technological footnote. Donald realized that the only way he’d be competitive was to prepare the Supra for a more highly modified class. The plan worked, and in both 2000 and 2002, Donald’s co-driver, Ben Martinez (no stranger himself to off-the-beaten-path car choices), drove the Supra to fifth-place finishes at the SCCA Solo Nationals in the D Street Prepared class. Donald managed a few National Tour wins himself during those early days of the Supra’s competition career, but he realized that the mildly prepared Supra was still an underdog. Throughout the first decade of the new century, Donald continued to develop his baby from its beginnings as a “bolt-on” Street Prepared car to a fully developed class competitor. By the end of the decade, the Supra was closer to exploiting every dark corner of the rulebook, featuring individual throttle bodies, a Kevlar seat, a super-light flywheel and lots of other trick bits. Despite its advanced level of preparation, the Supra was still outclassed by more modern competitors. Its original 5MGE engine had been tuned to produce more than 180 horsepower at the wheels–a stellar figure for such an engine in Street Prepared trim–but the BMWs that were beginning to dominate the class were easily putting down 200-plus. During that period of the car’s development, Donald and company did develop several neat tricks and solve some problems that plagued other Supra owners and tuners. They determined, for example, that the weakness of the stock limited-slip diff could be overcome by installing a Detroit Truetrac helical LSD that was originally found in the front axle of four-wheel-drive 1986-’95 Toyota trucks. This application took the right mix of bearings and shims to work properly, but it fixed a glaring weakness of the as-delivered car. Despite all the development, Donald’s Supra lagged behind the class frontrunners, all of which were benefitting from the gift of youth. 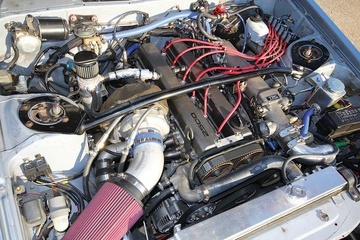 A couple of failed engine builds led to the installation of a 1JZ-GTE powerplant and the requisite switch to the SCCA’s Street Modified ranks. While even casual Toyota fans will recognize the 2JZ-GTE designation from the legendary turbocharged 3.0-liter engine used in the final Supra, the 1JZ-GTE is its Japanese-spec, 2.5-liter little brother. Donald converted the twin-turbo setup to a single Garrett GT30, and with the aid of a few simple bolt-ons, the Supra now had double the power of the original engine. Of course, with more power comes more problems, and the extra thrust quickly exposed other weaknesses in the Supra–like the brakes. Fortunately the Street Modified rules are rather open, so Donald was free to develop his car with performance, rather than rulebook limitations, in mind. 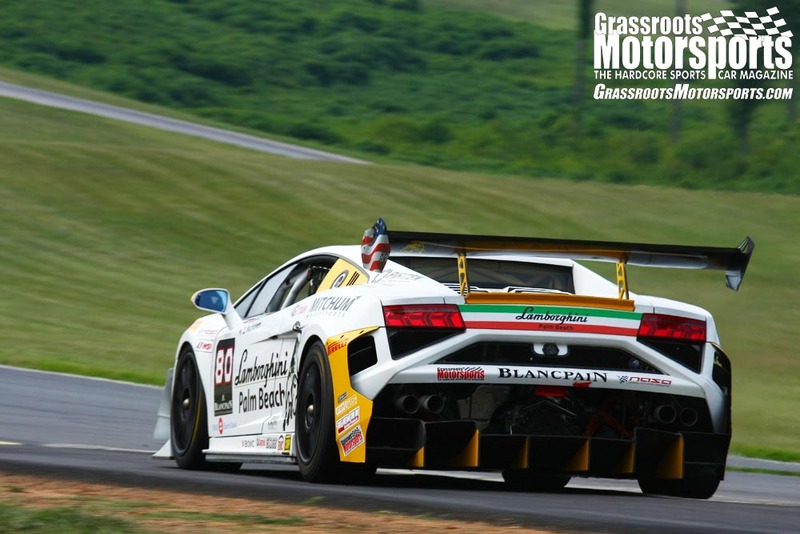 No off-the-shelf brake solutions existed in 2012, when Donald was hot and heavy into development of his re-engined beast, so instead he initially focused on saving weight where he could. Advan Carbon built a custom hood that shaved away 25 pounds, while Jongbloed wheels cut even more weight. 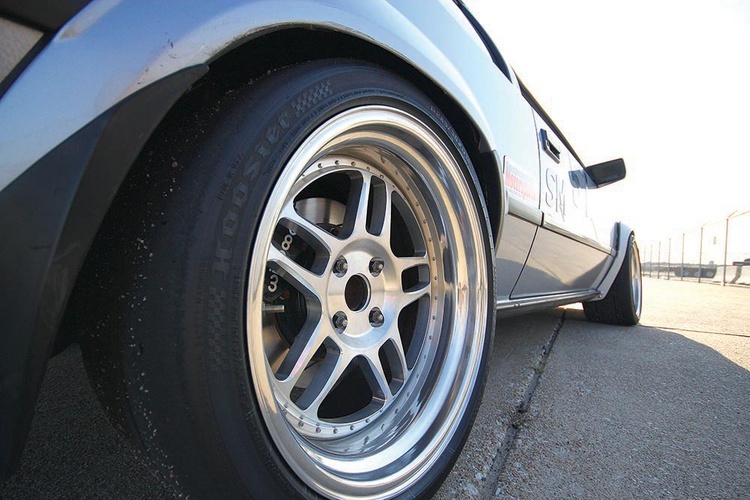 Their massive 18x10-inch size allowed Donald to mount 285/30R18 Hoosier autocross rubber. By 2013, a custom big-brake kit was assembled using Raptor Racing rotors and Wilwood calipers, giving Donald a lot more confidence to rein in those nearly 400 horses. Suspension development continued as well. Donald currently uses Ground Control coil-overs in the front along with a custom-built, 1.5-inch-diameter, hollow anti-roll bar. In the rear, he developed his own coil-overs based around RideTech adjustable remote-reservoir shocks. A Kaaz LSD has since replaced the Truetrac, and Donald continues to tweak and tune to get as much performance out of his Supra as technology, time and budget allow. Although Street Modified is a very technology-intensive class, Donald Lew is more confident than ever that his Supra is getting closer to the pack. At any rate, he shows no signs of taking down the old-school flag in a class dominated by newer vehicles. He’s content to keep developing the Supra in hopes that the old guy will be able to show the youngsters that a few good things did, indeed, come out of the ’80s. "My Celica ate your supra." It's on my car. Those are great looking cars. I have a brother who is a lot older than me. Back in 1983, he went on a week long ski trip with a bunch of friends from college. They all left their cars at my parents house. There was a new Supra, a new Celica, and a '74 BMW 2002tii. I spent the whole week staring at each and every deatail of those cars, and I'd love to own any one of them today. Especially a cream colored '74 tii with tan leather Recaros. It's the reason that I love big tail light 2002s. Trackmouse wrote: "My Celica ate your supra." It's on my car. Oh, man. Mine needs that. I'm pretty late to this party, but I'd be interested to know what needed to be done to stuff all that rubber under the fenders. Can these really swallow that much rubber stock? Matt B wrote: I'm pretty late to this party, but I'd be interested to know what needed to be done to stuff all that rubber under the fenders. Can these really swallow that much rubber stock? But we had New Wave in the 80s! Kartoffelbrei wrote: But we had New Wave in the 80s! I don't remember the 80s since I was a toddler but when I think of the 80s I think of this song for some reason. My parents liked E36 M3 like this and depeche mode. I like 80s music but listen to non-hair metal mostly. Like Iron Maiden lol. Karl if you still have this one shoot me a pm or email at cottonyzf at gmail. Fun article! 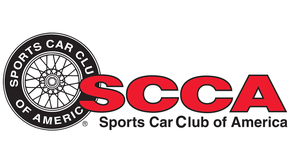 Don has done a great job with the car (I run in the same SCCA chapter as he does). Always liked the styling. When my '92 Taurus SHO was young (and totally stock) I did a track day (a.k.a. "school") at Sears Point when the BMW club needed more bodies to pay for the day. The SHO was walking away from anything BMW that was similar displacement (stock-ish, not Dinans and such). I ended up spending much of track time "dicing" with a 2nd gen Supra of this ^ body style. He had a bit in the corners and I got it all back on every straight. We had great fun! Particularly the part about passing Bimmers. I love these! People forget how much buzz they created when new. Toyota was definitely on a roll in the '80's. The Supra was a great car but for some reason I like the CelicaSupra before it better. Don’t know why.